The Leeds Stove Centre has become one of the leading suppliers of Wood Burning Stoves in the Leeds area. With a large choice of wood burning stoves to choose from and a huge choice of styles to choose from, its easy to see why we are the leading suppliers of wood burning stoves in Leeds. All of our wood burning stoves are available to order online for home delivery anywhere in the UK. 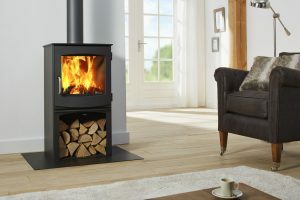 Leeds Stove Centre has a superb showroom that is located in Stanningley, Leeds, where you can see live working displays of our wood burning stoves and get a feel of how great they could look in your home. There’s nothing quite like sitting in front of the heart-warming rosy glow from a wood burning stove on a cold winter’s night! Our comprehensive range of wood burners and accessories ensure that everyone will be able to find exactly what they’re looking for. We stock a wide variety of stoves from many leading manufacturers such as Yeoman, Stovax, Burley and Hunter, but we also stock the lesser known brands too, such as Dik Guerts. We strive to provide you with the biggest selection of wood burning stoves possible to give your home that luxury combination of warmth, aesthetics and style. 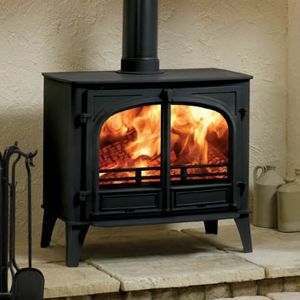 Leeds Stove Centre are also able to install your wood burning stove in your Leeds home, our highly experienced stove installers can install your wood burning stove to the highest standards. We can also carry out chimney test and are able to fit flue systems. To arrange an installation survey, please contact us on 0113 255 5622, or for more details on stove installation. From the modern, steel stoves to the more traditional looking designs, our collection of wood burning stoves is extensive. They are highly efficient and available in sizes and styles to suit most rooms and living spaces. If you live in a Smoke Control Area, there are also suitable DEFRA Approved models available that have been specifically designed for use in these areas.